Bjørn Laurin, the former Vice President of Product at Linden Lab, has departed the company to join HTC Vive, where he is involved with Viveport, the company’s app store for Virtual Reality experiences. Bjørn joined Linden Lab in March 2015 – although it passed almost unnoticed at the time. I personally didn’t catch it until a passing comment from Don Laabs (Danger Linden), at that time the Lab’s Senior Director of Product, whilst he was being interviewed at SL12B that year. That led me to provide a very quick outline biography for Bjørn. Whilst his remit as VP of Product covered all three of the Lab’s platforms and applications – Second Life, Sansar and Blocksworld – over the course of his roughly two-and-a-half years at Linden Lab, Bjørn perhaps became most closely identified with Sansar. He was generally present at physical world events where the Lab sought to promote the platform. He was also, for a time, one of the “regulars” from the Lab who would hop into Sansar to join community meet-ups and product meetings there. In this latter capacity, he became one of the popular Lab reps (alongside Ebbe Altberg and Jason Gholston (Widely Linden)) for his willingness to offer broad-ranging views and comments on Sansar’s direction, upcoming releases and ideas being discussed for the platform back at the Lab. Nor was his time restricted to meeting people in Sansar. Ahead of the launch of the platform’s open Creator Beta at the end of July 2017, Bjørn, together with Jason (Widely Linden), sat down with Sansar and SL users to discuss the new platform and explain some of the thinking behind its evolution, as well as looking a little further down the road. It’s also not unfair to say that he has been an enthusiastic adopter of consumer-focused VR, something which tended to become very evident in even brief conversations with him, so his move to HTC Vive would appear to be a good fit. I actually first became curious about Bjørn’s status at the Lab in mid-January, 2018, when I noticed his biographical notes had been removed from the Lab’s corporate website shortly after Peter Gray had dropped me a line to say he would be departing the Lab for pastures new. At the time, I reached out to the Lab through various channels to try to ascertain whether Bjørn had left the company, but without success (someone – and my apologies to them as I forget who – had pinged me in late 2017 to ask if I knew whether or not he was still with that Lab – as there was no change in his status on the Lab’s corporate pages at the time, I took it to mean he was still with the company back then). According to LinkedIn, Bjørn took up his new position at HTC Vive some time around the end of January / beginning of February 2018. While I didn’t know him particularly well, Bjørn always came over as very personable, friendly and with something of a wry sense of humour. 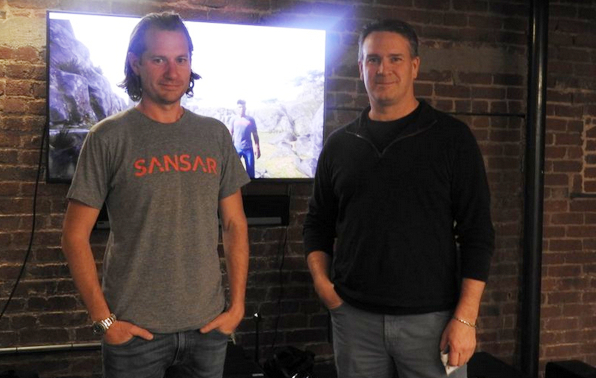 He was always hugely enthusiastic about Sansar’s potential and Second Life’s future. I wish him all the best for his new role at HTC Vive.